Locke wants his durn twenty dollars! Ohoho! 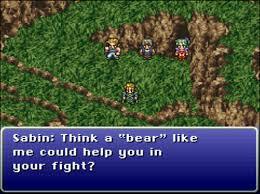 I'm guessing Square never intended to feed that particular narrative with that blitz. Well played, sir. Lol, pretty sure lots of people have read a little too much into that bit of dialogue . So funny. Especially the expressions.